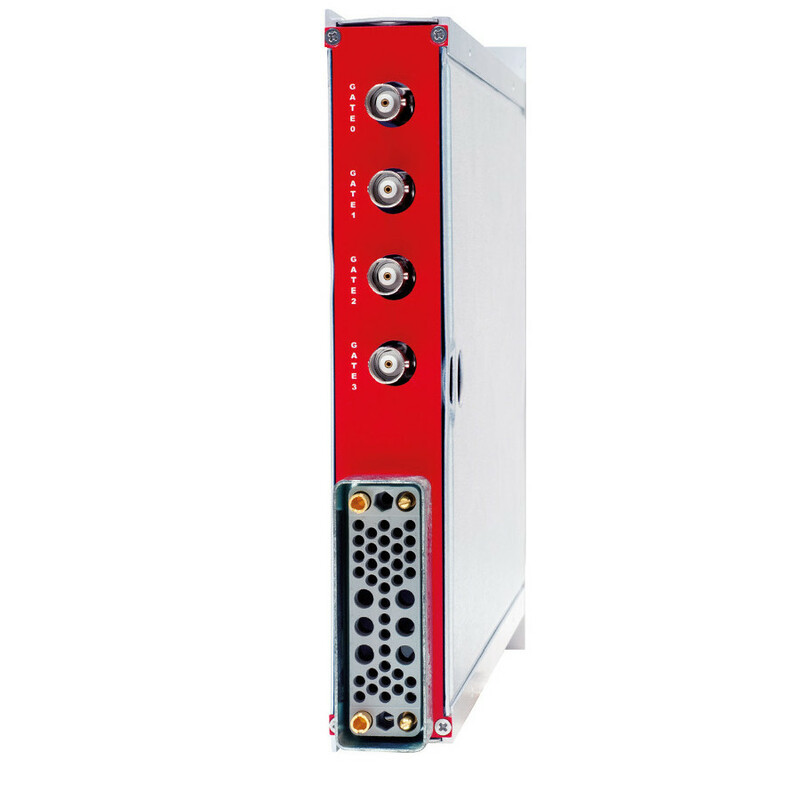 The N605 houses four independent 20% Constant Fraction Discriminators (CFD) in 1-unit wide NIM. The module is intended for high resolution time measurements, where fast signals with rise time as low as 0.8 ns are involved. Those may involve the use of radiation detectors made of fast scintillators, PMT, microchannel plates and fast semiconductor detectors. The module guarantees exceptional low walk jitter, lower than 50 ps, for signals spreading over a wide range of amplitude, from -5 V to -50 mV. The unit is provided with independent threshold discriminators to reject signal baseline noise. Front panel test point and screwdriver permits the precise measurement of the threshold, in the range from -15 mV down to -1 V. Each channel can be adjusted for the zero crossing level of the discriminator to minimize the time walk. 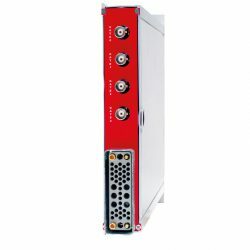 Moreover the N605 has a CFD signal monitor output connector on the front panel to facilitate the correct adjustment of the working parameters. Each channel has a fan-out of three timing output signals provided with NIM standard. The outputs can be selected to operate both in blocking and updating mode: the first is intended to minimize multiple triggering when slow scintillators are used, while the second is intended to reduce dead time in event of high rate condition. The board is provided with fast VETO input and individual GATE inputs to operate coincidence or anticoincidence logic conditions with the timing signal. Typically < 7 ns with 3 ns external delay. < ±10 ps/°C from 0 to 50°C.